Signs read: THIS IS SAFETY WEEK BE CAREFUL. BE CAREFUL. BE CAREFUL. NOW will you be careful? Some people have to learn the hard way. No lawsuit money in 1950. Back then,it really was your own damn fault, period. 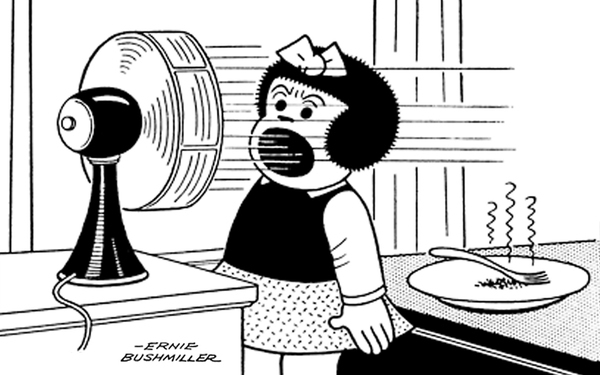 Read Nancy Classics from the beginning!